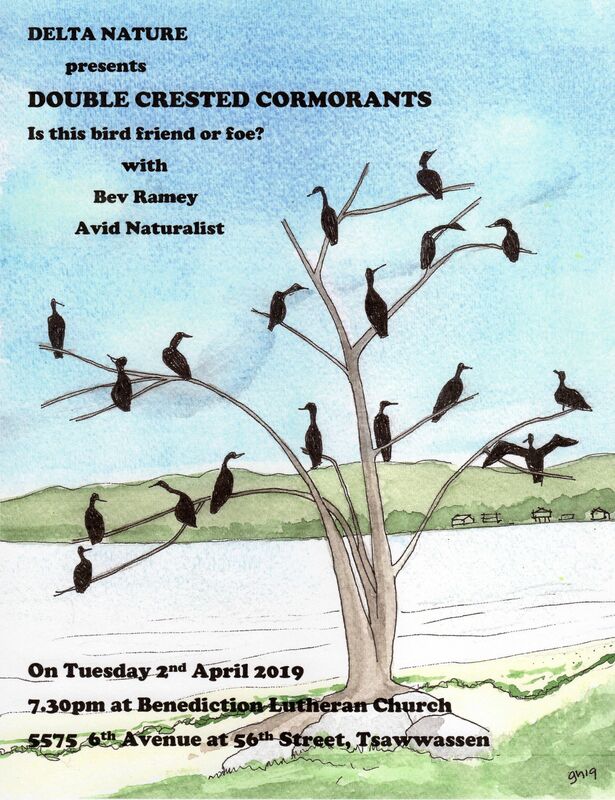 Seventeen folk (Don & Rochelle, Ken & Anne, Jonathan & Lorraine, Paul and home-schooled Quinn, Roger & Anne M, Mike & Lorna, Leona & Sheila, Jackie & Jennifer and me) enjoyed a very comfortable quarterly Birds on the Bay outing in Boundary Bay Regional Park (BBRP). 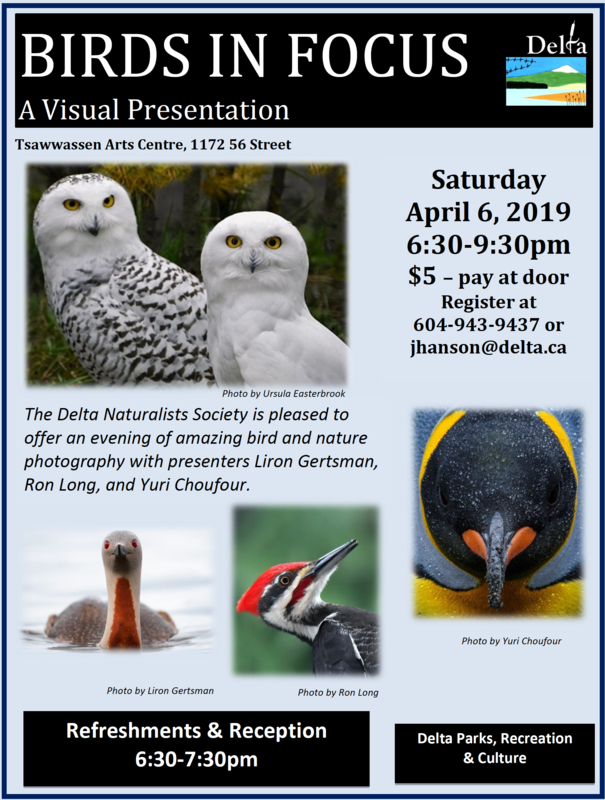 Hi-lites included: American Kestrel, Sanderlings, Common (Eurasian) Teal, Northern Shrike, Short-eared Owl and especially the delicious home-made Treats prepared by the Delta Nats Ladies. Check out Ken’s, Leona’s, Jonathan’s, Roger’s photos (very soon?) on our DNCB Picasa site. It was very mild (Pineapple Express), overcast and threatening rain at 9:00 a.m. when we left on our walk from Cammidge House. Our first bird was an American Kestrel that Anne M spotted as she drove in, and it flew by us. Lots of Bald Eagles in the trees and Golden-crowned and Song Sparrows in the bushes as we wandered toward the soon-to-be-renovated pond near the now gone old Concession Stand. 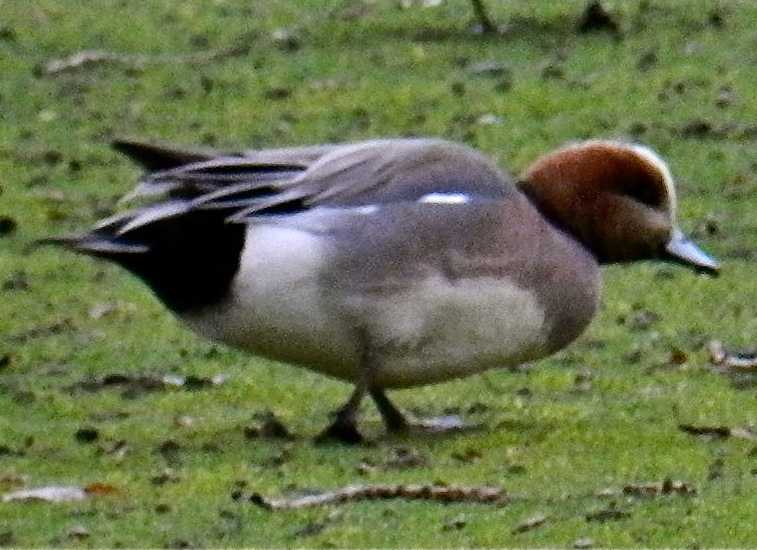 American Wigeon were cruising in and out of the pond and we spotted a beaut male Eurasian Wigeon. The injured male Northern Pintail was in the pond too, but we did not see the normally-resident Brewer’s Blackbirds. Several Redwings around. We crossed the beach to the shore-line; tide was in, and going out. To the left was a flock of “Annie’s” Sanderling and to the right rafts of Scaup (Lesser/Greater?) and Scoters (Surf and White-winged) but we had to wait to see them through the scope while Roger concluded his “inane” (there’s that word again) conversation with the Wigeon back at the pond. Several “bushy-haired” Red-breasted Mergansers and Common Goldeneye were diving not too far out. We followed the path past the new Concession Stand. It’s a good thing it was quiet with no birds around because no one would have seen or heard them as everyone was talking about the sightings they had somewhere else, the trips they had been on or were going on, new grand children, school reports due, or what they had, or didn’t have for breakfast. An eclectic group of Weirdoes. We reached the Lookout where Ken took a mandatory Group Photo while we searched in vain for the Short-eared Owl that had been seen there every day this week (Leona found and photographed it later). 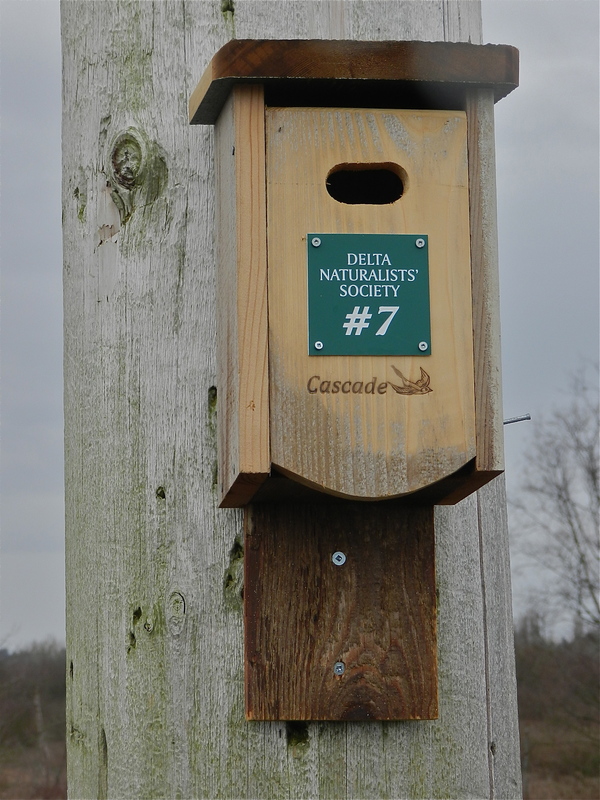 I pointed out some of our 30 newly-installed and labelled Delta Nats Bird Boxes: no one cared. They were more interested in the Northern Flickers and Red-tailed Hawks far off in the trees. A couple of Northern Harriers flew by; they have not yet started their mating rituals. 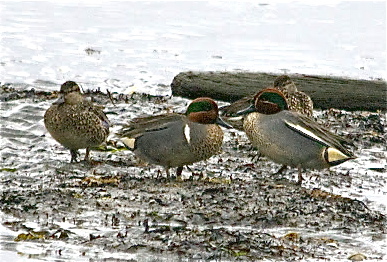 In the mud flats were lots of Green-winged Teal and a few Greater Yellowlegs. We spotted and easily identified the male Common (aka Eurasian) Teal that has been here for much of the Winter and everyone got good looks at this relatively rare (here) bird. A Northern Shrike appeared and posed on a stump behind the Pump House. A flock of about 400 Brant Geese swarmed above the water, and about 100 landed near us. I gave a quick glance for leg bands, but didn’t see any. We followed the inland trail back to Cammidge House. A Downy Woodpecker caught our attention and Jonathan was first to spot a Mourning Dove because it almost landed on his head. 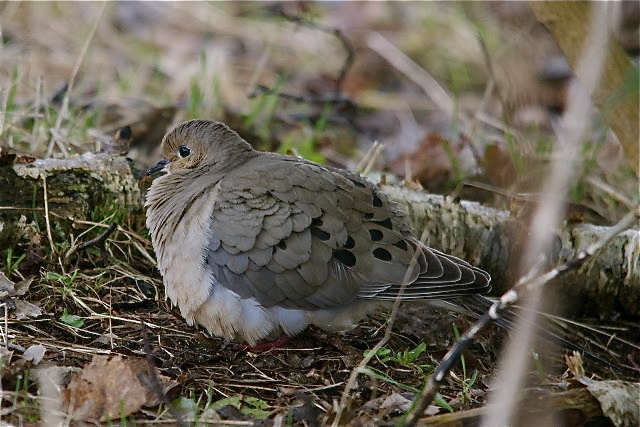 Mourning Doves seem to have become “uncommon” sightings in Delta as there are now so many Eurasian-collared Doves around. We were blanked on Meadowlarks, and Mountain Bluebirds have not yet arrived in BBRP. 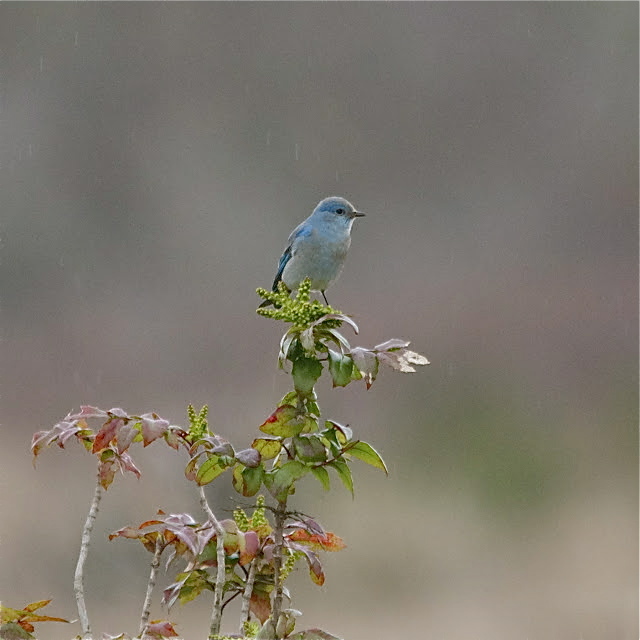 Roger, Lorna, Mike and Leona went to Tsawwassen Drive on TFN property this afternoon after our outing and got good shots of the Mountain Bluebird that has been hanging around near the Long House for a week or so. Anyhow, our starving group got back to Cammidge House at 11:40 a.m. (10 minutes late) to be welcomed by Jennifer, Don and Rochelle and their array of delicious home-made Scones and Pastries (including Craisin, White Chocolate Shortbread made by Sandra (and me); I measured the half-cup of craisins), plus other fruit, cheese and gourmet treats that were wolfed down as if these “scavengers” had not seen food for a week. 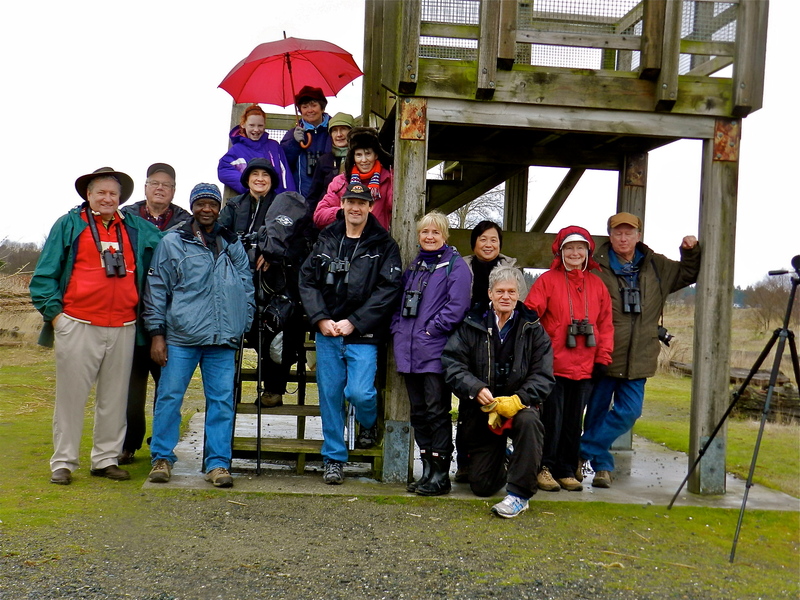 It was a glorious morning of birding, and the rain held off, even for our second Group Photo taken by Ken on the CH steps, under the affable Don’s clownish tutelage. 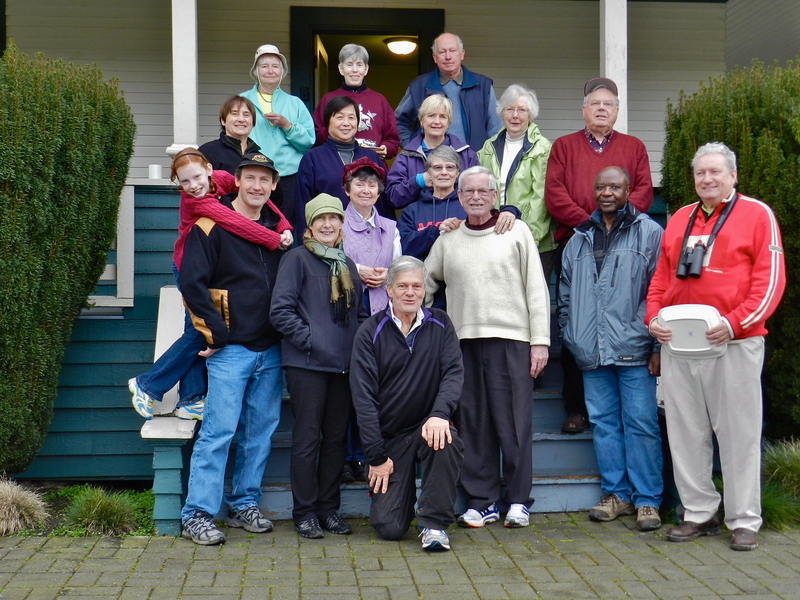 The next DNCB outing will be next Monday, March 18 departing from Petra’s at 8:00 a.m. to “somewhere around the Bay”. 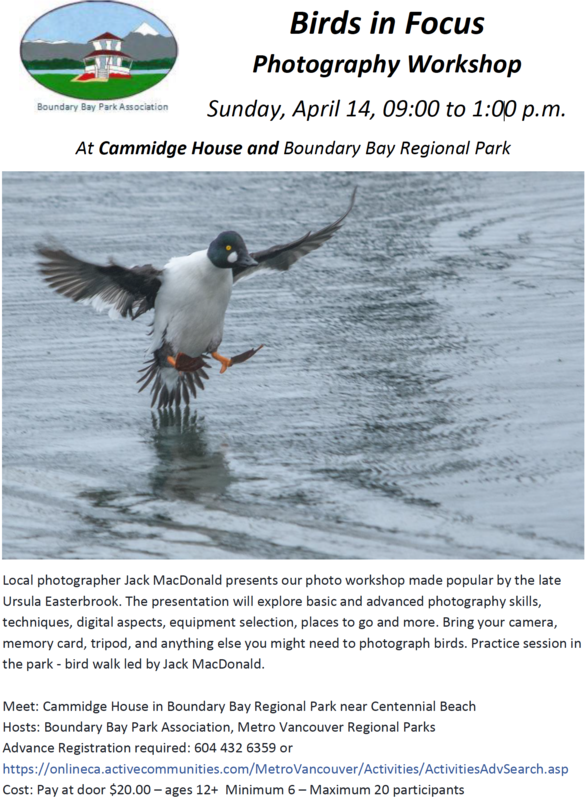 We may go to Ladner Harbour Park (White-throated Sparrow), South Arm Marsh Park and TFN (Bluebird). Our Nats monthly meeting last Monday, March 11 was very popular (i.e. capacity crowd at Cammidge House) with the showing of Frank Wolf’s very interesting film “On the Line”. As usual, your comments are encouraged. 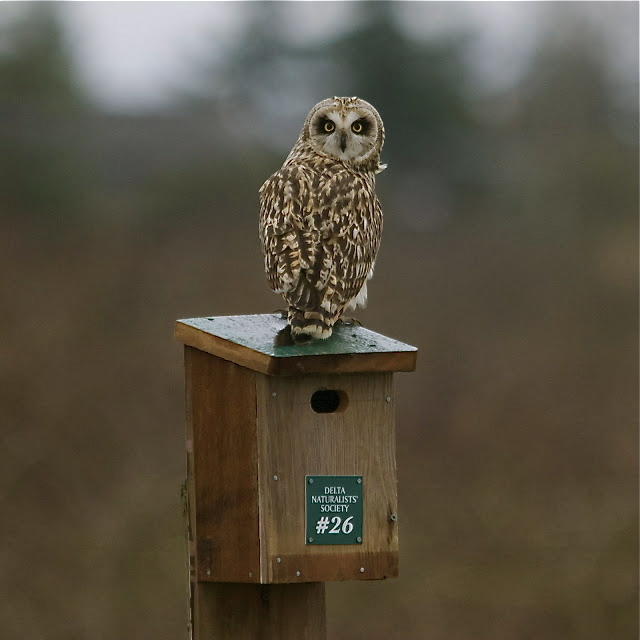 This entry was posted in *DNCB, *DNS, American Kestrel, Bald Eagle, Birds-on-the-Bay, Boundary Bay, Centennial Beach, Eurasian Teal, Mountain Bluebird, Mourning Dove, Northern Harrier, Northern Shrike, Red-tailed Hawk, Short-eared Owl. Bookmark the permalink.